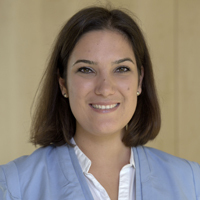 Tanita is a Full-time MBA student and joined Frankfurt School in 2016. Coming to Frankfurt am Main means to get to know the Frankfurter proudness of being the heart of the financial European market, marked by their unique skyline. While arriving at Frankfurt School of Finance & Management, the excitement increases as there is an impressive tower located in Ostend: the new home of the European Central Bank. On 2nd of December 2016 the Frankfurt MBA students had the chance to visit the European Central Bank located in a 10 minutes’ walk from Frankfurt School. In addition to entering the central bank, we were able to celebrate a small reunion as not only full-time MBA students but also part-time and executive MBA candidates attended the external lecture. What an impression! After passing the security check, we were standing in front of the huge glass tower of the institution which’s “mission is to serve the people of Europe by safeguarding the value of the euro and maintaining price stability” . The impressive external appearance was rounded by a huge entrance hall. Here, we also found the flags of the 28 European Union countries. The external lecture “Monetary Policy – A view from the Trenches” was hold by Prof. Dr. Dieter Gerdesmeier, Principal Economist. After an introduction about the structure and responsibilities of the ECB, Prof. Dr. Gerdesmeier gave us an overview about its monetary policy. The discussion also outlined how the decisions taken by the Governing Council can have a significant impact on the euro area, the EU, Europe and the world as a whole. During our short visit, we could feel the exciting tension about the centre in which major decisions are taken. It was great to get a first-hand look into the powerful authority of the European Central Bank and how it shapes Europe and the world. To close this fascinating day, the mixed student group moved on to discover other Frankfurt am Main attractions to discuss the experience over a mulled wine. Thanks to all the MBA students who made this day unique and enriching!